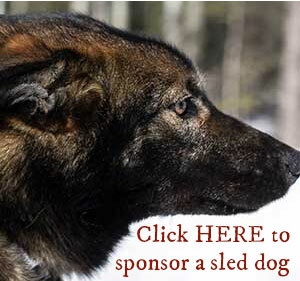 Cody’s Yukon Quest Recap.. Start to Dawson City. The long winded version. Almost 6 weeks have passed since our Quest run prematurely ended at Braeburn Checkpoint. The race has played start to end in my head over and over like a DVD player stuck on repeat. Almost nightly I relive the race sometimes it has different endings, but when I wake the ending is the same. It is story filled with a roller coaster of emotional ups and downs… a give and take of failures and celebrations. The dogs amazed me day after day and it was such an amazing learning experience for both the dogs and I. It will surely make us stronger and better for future endeavors whether it be racing or an arctic expedition. I would like to share this amazing experience with you. I will break the race down by the checkpoints..so far I’ve only been able to recap the race as far as Dawson City. I’ll pick up from Dawson to the end real soon. The race started on February 1st on 2nd Avenue of Fairbanks. The warm weather in the previous weeks had created thin ice on the Chena River and so the start had to be moved. 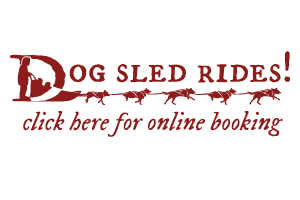 That wasn’t the only new addition to the start, the Yukon Quest auctioned off the chance to ride in our tag sleds at the start. The money raised went directly to the purse. Nancy Spink, of Fairbanks bought the chance to ride in our sled and got a different view of the start than most of the spectators. A huge thanks to Nancy for supporting the Quest mushers. Here is the official Quest video of the start. The tag sled with Nancy and Paige on it rode for about 2 miles down the Chena River before they were cut loose and the real race began. The team and I cruised along the Chena River like magic. We ran in a line of teams through Pleasant Valley. It was great to see familiar faces and friends along the route near Nordale bridge. Paige, Thomas, Megan and Charity were at the Pleasant Valley store to cheer on the team. Our plan was to travel about 5-6 hours which would be roughly 55 miles and camp the dogs for about 4 hours. Many other teams went past us and onto the first checkpoint. The dogs settled in easy got a good rest. After 4 hours, we headed back onto the trail. A few miles outside the Two Rivers checkpoint we passed a team that was hooking up from a camp. We went on past and were soon followed by a team closely. The plan was to grab a couple snacks from my bag at Two Rivers and go on through. We pulled in with Allen Moore directly on our tail. While I was rooting through my drop bag like an amateur, Allen, signed in and out and rolled on past. I pulled out a minute after him and followed along relatively close for the climb up the North Fork of the Chena towards Rosebud Summit. As the team and I looked forward I could see what looked like an airplane with landing lights on above me.. It turned out to be Allen’s team climbing the steep face of Rosebud. This is one of our team’s strengths, climbing hills. We climbed steadily after Allen’s team up the steep sections of trail. This area was sparsely covered in snow, leaving areas of bare ground, ice, and rock. The dogs worked their magic and soon we were passing Ken Andersen’s team on the ridge line. A few more miles down the trail I found our friend Brent sleeping with his team. We coasted on down the hill towards mile 101 and splashed our way up to the checkpoint through a little slushy overflow. The dogs looked great and we pulled into Mile 101 in second position behind Allen. The plan was to stay about 4 hours and do my mandatory vet check. The dogs got a clean bill of health and I took the opportunity to enjoy some hospitality in the cook shed. Thanks to the whole gang at 101 for taking such great care of us. The team and I pulled out of 101 around 8 am with the rising sun. We were pretty nervous about what lied just over the saddle at Eagle Summit and we wanted to get over it before to many teams ripped the snow off and created a trench that would swallow and tip sleds on the wild descent. The dogs were excited as we pulled the hook and it felt like an effortless climb up towards the ridge in an early morning fog. I stopped just before plateauing at the top to unhook a few tug lines from my dogs, leaving about 6 dogs only attached by their collars. Unhooking tug lines takes away power. On a descent like Eagle Summit, gravity does a pretty good job on its own.. 14 dogs are not needed to get down! When we slipped off the lip we were met by an icy hard surface, one that I could control my team with the brakes and drag. It sounds like teams farther back were not as fortunate. As each team passes over their brakes will dig deeper into the snow leaving a trench that is hard to negotiate. Coming down the back side of Eagle Summit was challenging with the low snow and side hill conditions. A tense side hill ride was had, but we arrived at the bottom in one piece and you can tell that the team felt some sort of pride in what they had just accomplished. I let out some whoops and yee-haws and we were on our way towards Central. The trail into Central was very icy, with some of it being very soft in some large tussock field areas. The dogs worked hard, wallowing through these areas, but we knew we were close to Central. We pulled into Central and the dogs were fired up. Nukluk harness banged in lead and it was clear they wanted to continue on. My plan was to go through Central and camp somewhere just before getting on Birch Creek. That would split my runs up a little more evenly. Brent and Hugh were in Central and Allen had just gone through. I once again dug through my drop bags like an amateur trying to find the food and supplies I needed. While packing, I thought I had put exactly what I needed in a bag labeled “to go”, however, I didn’t need all of the random stuff I had shoved in there. We spent a few minutes grabbing what we needed and talked with the Schwingster about how the race was going. Then we were off. The trail out of Central that parallels the road is always soft, the dogs were a little puzzled to why they had been so excited to leave once they got onto this trail, I decided that we would not go all the way to Birch Creek, but would cross the large lake out of Central and then camp in the mid-day, getting us ready to leave for Circle in the early evening.. Our dogs are not fond of afternoon runs, they like to chill at this time of day. If we can get them on a schedule that maximizes rest in afternoon and long runs at night, then they are at their best. We camped for the afternoon and I crawled into my sleeping bag to get my first real sleep of the race.. or attempt to anyways! Soon after falling asleep some musher who shall remain nameless rudely woke me to tell me in a cocky voice “hey you are only 12 miles from Central!”. I tiredly and bewilderedly nodded and crawled back in my bag. I know where I’m at.. precisely where I want to be. We got back on the trail in the early evening air and moved onto the fast and hard Birch Creek. As I passed the earlier musher sleeping on the side of the trail I had to bite my tongue and not say “your still 50 miles from Circle”.. luckily I didn’t have to do anything because Nukluk decided to run up his side lane and attempt to jump on his sled and startled him. I called her over to the main trail and we were on our way.. not what she was supposed to do, but Good girl! We had an uneventful and smooth ride on into Circle. Time for some rest! Thomas and Megan had been handling for me up until this point and they made a run from Central towards Dawson City. Paige and Charity came up to Circle to handle for me and see me off as I was heading out onto the Yukon. Although I’m not super fond of the Circle checkpoint since it is in a cold damp fire station, the hospitality was great. I slept for a few hours and ate two big meals during my stay. I stayed longer than normal, but I wanted to get some rest, get packed properly and make sure all dogs were sound before heading out onto the next big stage of the race, the Yukon River. From this point, we would not be on the road system again until Dawson City, some 250 miles away. I had the vets look over my team and I decided to drop Denbigh and Maggie. Denbigh had been having troubles keeping up on the tussocky sections of trail and seemed to be a bit stiff. Maggie also was a bit stiff on a rear leg and while the vets thought they both could warm out of these stiffnesses, I elected to leave them, both for their own heal time for Iditarod and also so that I wouldn’t have to carry one of these large dogs on the long run on the Yukon. Click here to listen to Emily Schwing’s interview as we left Circle. The run to Slaven’s Roadhouse was very nice. We had very nice trail most of the sixty miles. We did have a few sections of very rough jumble ice, but they were very short. As we got close to Slaven’s the head wind picked up and we negotiated several sections of windblown ice and rock. The dogs did great following the skeg scars on the ice from snowmachine traffic, the only real sign of a trail. We pulled into Slaven’s in the late afternoon in time to watch Brent, Allen and Hugh, hook up and roll off. I said goodbye and wished them luck. I was in 4th position, but I knew that this was the last time I would see these fierce competitors on the trail, besides possibly in Dawson City during our 36 hour layover. The blistering schedule they had already set was beyond anything I was interested in pushing this group of dogs to do as we had not trained for that low amount of rest. Slaven’s Roadhouse is awesome, the park service staffing this remote dog drop take amazing care of the mushers and I had a huge double cheeseburger and a bowl of chili before settling in for my nap. I planned to stay roughly 4 hours. John and Dave pulled in as I was getting ready to go and most of my dogs stood up, shook off and were ready to roll. Shady, a youngster only having run the Copper Basin 300 previously was tucked in tight and looked very tired. I got him up and tried to get him rolling by walking him around. He was like a teenager on a Monday morning.. he didn’t want to go to class. I had Kate, the vet, check him out, nothing was wrong physically, but he was exhausted. While he could have continued and may have been just fine, I once again cautiously, decided to drop him from the team. I didn’t want his young mind to be crushed by failure and I could not gamble with having to carry the largest dog (75lbs) in my team on the next section of trail if he was not able to run for some reason. I was bummed to hear him howling from the dropped dog area as we bootied up and pulled out for Circle. Kate took good care of him until he was flown to Eagle and on to Dawson City the next day. The trail leaving Slaven’s was relatively nice, the dogs warmed up and started to get back in rhythm and I remember feeling really satisfied with the way the race was going. These thoughts never seem to lead anywhere good for me though and soon things were getting interesting on the trail. The trail was following along the edge of the ice. The trail began to be a little slushy and wet in areas and you could see that water was rising onto the trail that had been previously dry. At one point the trail abruptly had been rerouted up a steep bank to go around some open water, the trail breakers had gone over the trail again right in front of the leaders and found that the trail was deteriorating. The rerouted the trail up onto the bank through some brush and dropped us back down to where the river was safer.. at least when they had been there. I plunged down this steep bank back to the river only to find a chaotic mess of sled, dog, and human tracks going through a big slushy hole of water out onto a narrow shelf of ice.. the light from my headlight was swallowed 50 yards behind by the darkness of open moving water. My team was not incredibly excited to go forward after these tracks so I decided I would walk my leaders into the water following the tracks of Brent, Hugh and Allen. I stepped into the water only get end up with water up to my hip. I jumped back out in surprise and then went through the long process of coaxing my leaders out into this. Eventually I was able to get Nukluk and Wiseman out in the water and they porpoised their way over onto the ice pan that was a little more firm. The trail markers were gone as far as I could tell now, but we followed the discombobulated path of the three previous mushers that had been through here 4 hours ago. We ended up repeating this slushy process multiple times before the trail finally ended on dry land. It was clear that the ice was disintegrating below my runners. The tracks left by the early mushers had been on the surface and we were wallowing in deep bottomless slush now. It was only a matter of time before the entire ice pan we were on, flaked off and the open lead took over. I worried for teams coming behind, but the only thing for us to do was move forward and worry about ourselves. We were pretty iced up, but not in a bad way, so we skipped the Kandik cabin and moved on towards our planned destination of Mike Sager’s Trout Creek Cabin. Click here for Emily Schwing’s interview on the open leads. The trail from Kandik to Trout Creek was one of the wildest rides I’ve had on a dogsled. I turned up the Ipod playlist that my friend Trey made me and we got in a zone. The warm and windy conditions had stripped most of the snow off the river ice for the next 40 miles or so. The trail was on rough, bubbly, side-hilled ice. Sometimes it was side-hilled above open water. The dogs dug in with the claws for traction on this uneven icy surface and my amazing young leaders Wiseman and Nukluk focused on the markers with reflectors to find the way. At one point the trail was glare ice with patches of bare jagged rock. The dogs would slowly work their way across the glare ice until they could get footing on the sharp rock and then the sled would thrust forward with awesome power almost giving you whiplash… until the sled hit the rocks and then we came to an almost complete stop, the dogs all slipping and bambi-ing to a halt and you could feel the plastic shaving off of the runners. This happened over and over. This section lasted for several miles before we got back on to the rolling bubbly ice. At that point I noticed that were weren’t sliding very well. I looked down to see that the plastic on both of my runners had been ripped off at the bend of my runners. I had to stop and flip the sled over and change my runner plastic on the run. The dogs patiently took a break to clean the ice off of themselves while I scraped the ice out of my runner grooves and slid new plastic in. After what felt like forever, we pulled into Mike Sager’s welcoming cabin at Trout Creek. Go to this link to listen to an interview about this section of trail. As I expected, I was a couple hours behind the lead pack. Alan and Hugh had stopped in for a couple hour rest. They had passed Brent the night before Trout Creek and it seemed that Brent had pulled a sneaky one on them and went on past to Eagle. Mike said that once they realized Brent had gone past, they had to go! I spent about 4-5 hours at Trout Creek. The dogs nestled into their nice camping spot in the trees out of the wind. I nestled into the loft in the warm cabin. A huge thanks to Mike for opening his cabin for us. It is a real pleasure to stay here! From Trout Creek towards Eagle the trail had been used by local dog teams when the snow was warm and slushy, now that it was colder, those tracks were rock hard with deep runner grooves and dog foot holes. While this section was fast it was very rough and very hard for the dogs to get into a rhythm. They had to watch their footing and it started to take a toll on them physically and mentally. I could see the dogs getting crabby about he conditions, but they moved at a nice pace. As we got closer to Eagle I started seeing signs rooting for Matt Hall at a place called Wood Island,.Our friend Nate lives with his girlfriend Ruby and daughters Grace and Genevieve with their 19 huskies. Ruby, Grace and Genevieve had come down to the rivers edge to cheer me and the team on as we moved down the trail. They had made brownies for the mushers and put them in a tote out next to the trail. I stopped the team and collected my prize.. 2 awesome brownies for breakfast!! That fueled me for my run in to Eagle. Thanks again!! While eating my brownies, I noticed that Atigun was having a rough go with the rough trails. She wasn’t her normal self and wasn’t working like the rest of the team I kept a close eye on her every move and after a while I decided that she needed a break and let her ride in the bag. She liked it for awhile but of course began to wiggle and squirm. We moved on down the trail and before we knew it we were on the portage trail to Calico Bluff. The home of our friends Andy and Kate Bassich. At Calico Bluff the trail goes directly past Andy and Kate’s dogyard, past the back porch of the cabin, down past the fish wheel and plunges you down onto the Yukon River ice. My dogs rolled through easily, although they were quite confused by the yard of 30 or so dogs barking at them and then we plunged down onto the ice. Ahead of us was a shelf of glare ice about 200 yards wide and beyond was the biggest open lead I have ever seen. It instantly gave chills to spine. The dogs started towards the markers on the glare ice and fought for a footing. I had not known it would be like this and had left all their booties on and had two inexperienced leaders, JD and Oz in front. This proved a major mistake the dogs went for a couple hundred yards before JD got confused, scared, ??? not sure what, but she started to meander away from the markers and out towards the edge of the open lead. The ice out here was completely clear and I could see the water moving below me. I could not control the team. I had my brakes digging into this ice and was just at the will of the team. JD went out within 50 yards of the open lead and then turned the team around, my scared yelling did not help the situation and JD decided that she didn’t want to be in charge anymore and stopped. I jammed my sharp Matanuska Forge snowhook into the ice the best I could and slid forward trying to coax the team back onto safer ice. They were scared and frozen in place. I grabbed the gangline and pulled them back in the direction of Andy’s place and they all slid back in line. The hook popped and I hopped on for an out of control ride back over to Andy’s so I could regroup. Andy got back from a dog run himself and we chatted over a couple cups of coffee. It was nice to catch up with an old friend. Now tv stars on Nat Geo’s Life Below Zero, we have known Andy and Kate since Paige’s first summer as a fish biologist with TCC. She worked on a subsistence salmon sampling project with Andy and stayed out there at Calico Bluff. On a trip a year or two later, she took Wiseman when he was about 3 months old with her to Calico Bluff. It was fun to show Andy the little pup all grown up and now one of my main leaders. Some of the “less slick” ice past Calico Bluff. After regrouping, I put Wiseman and Nukluk in lead. Andy had just been through that section of trail with his dogs so we were able to slip and slide our way though this section with the change of leaders and the fresh scent on the ice. As we got closer to Eagle we passed the Hall’s dogyard and the howls and barks in the distance got the dogs fired up. We sailed into the village of Eagle. As we hit the last mile of city streets, Nukluk picked up the pace and we powerslid our way around the corner into the checkpoint. Nukluk harness banged with excitement as we checked in and I remember thinking she was ready to roll on through. Oh how I was wrong. I decided to take a good long break in Eagle to make use of the beds and food at the old school where the checkpoint is housed. The hospitality in Eagle is pretty legendary with half of the community there to volunteer. While I was in Eagle, Matt Hall was coming in. The hometown boy was coming home and everyone came out to see. It was fun to be part of that welcoming, however the large crowd made it hard to relax and sleep and my goals of getting some good rest were thwarted. I had the vets look all the dogs over. We found that Nukluk was very sore. She had a swollen bicep from running on the rough trails. Bicep injuries do not massage out easily and I was instructed to get a recheck before I attempted to leave with her. I spent a good deal of time massaging her bicep and tricep and putting a warming vest on her to try to get rid of these knots. Everyone else in the team was relatively good. It was clear that the last 100 miles of trail from Slaven’s had not been kind to us both physically and mentally. I had hoped to have a super clean run to this point and if so, I had hoped to do the 100 mile section from Eagle to Slaven’s in one run. I decided at this point that a short rest at the 40 mile hospitality stop was best for the team and packed accordingly. As I sat in Eagle the wind picked up from the East and the large spruce trees around the checkpoint were swaying way more than I wanted to see. This night was bound to be interesting. Here is a video interview from Eagle. We left Eagle around midnight and headed on down the streets of Eagle. I had been told to watch out for the snow-less chute that would drop us down onto the rock strewn glare ice of the Yukon, about 8 miles from the checkpoint. Soon I was rocketing down this chute bouncing off of boulders and tree stumps.. we hit the ice with a 50 mph head wind and boy did things get interesting quickly! At this point I don’t remember which leader combo I had up there. Nukluk was now gone and she had been one of my go to leaders in tough situations. The team struggled their way across the slick and rocky surface trying to follow the line of reflective markers off in the distance. It was clear that these booties I had just put on all the dogs needed to come off now for traction. So I slid around and undid my work. Whichever dog I had in lead decided the steep bank about 100 yards off course to the left looked like a better route and they took me up into the willows. I slid up on the slick wet ice and switched out leaders. I can’t remember who as this happened multiple times. Got them re-oriented towards the markers and we started again. This time we were blown off course to the right. The ice here was bubbly and slanted down to the right towards the middle of the river.. gravity and wind took us in out into the middle of the river. I patiently gave commands to steer them back on to course and we zig zagged our way slowly up river. We came to a very wet area of overflow. Only about 6 inches deep, but combined with the head-wind, the dogs really weren’t interested in going through it. They once again began to climb the steep bank into the willows. I sloshed my way up front and I put the young girl Oz up in lead with Elmer. Elmer has been one of our main leaders for years and knew exactly what I wanted him to do, but was being.. well,to put it nicely.. a little challenging. Oz, having just turned 2 and having only lead for a few months didn’t seem like the likely candidate to pull us through this, but I had to try. I walked them out into the slush. Just then the hook popped and the team came sliding by. I grabbed the sled and we started hard into the wind following the markers. Oz drug Elmer to the next marker. When he would try to take control again and get us off course I would give the directional command needed and Oz would dig in again and drag Elmer back on course.. after a few of these altercations, Elmer was back in the game and we moved along now at a good clip with their dog coats whipping in the fierce wind. The video below shows them once they got rolling again.. can’t here too good over that wind, but Good Dawgs!!! A few minutes later we were passing the flags and banner at the Canadian Border. They were whipping with so hard in the wind that the noise it was producing scared the dogs and we went way around them off of the trail.. We had made it to Canada! For some reason everything always seems nicer and safer in Canada and the trail suddenly was perfect. We sailed along on perfect trails for the next couple of hours. The wind was strong but it didn’t seem to affect our speed on these perfect trails. At some point we took an old mail trail that cut off a nasty open bend of the river. I was so tired at this point that I started to doze off multiple times. This was not a good section of trail to doze off on as it was windy and hilly. At one point I awoke to a collision where the team was jolted to a halt. I had veered off the trail on a downhill turn and slammed into a tree stump, stopping our progress. I apologized to the dogs who were staring at me like, “ get your sh%& together dad!” I got the sled on track and off we went down the hill. I noticed that something was flapping around behind me and saw that the collision had ripped my runner plastic loose and it was slowly working its way on out of my runner. I had stop the team and flip the loaded sled over to fix the plastic once again. The dogs always know how to take advantage of a pit stop and they curled up for a quick little nap while I fixed my blunder. A few more miles and we were at the 40 mile hospitality stop at an old gold mining era community. Sebastian who had lived there for many years, now living in Dawson, came out to run the hospitality stop. I stayed for 4 hours and enjoyed a nice warm nap, good conversation, good coffee and some great spicy pulled moose. The team rests peacefully at the 40 mile hospitality stop. The alarm went off as they do when you set them.. and at this point in a race it is really starting to feel like that movie Ground Hog Day. I somehow expected to hear Sonny and Cher singing “just put your little hand in mine” and then I realized that I was on the Quest and the next run would not be the same.. non of them had been. They all presented their unique challenges. I didn’t know what laid ahead on this next section, but I did know that I only 50 miles to Dawson City and a 36 hour layover. I jumped out of bed and roused the dogs. I started to booty up and just as I was getting ready to pull the hook .. Matt Hall rolled in. Being that Matt had grown up on the river and run dogs his hole life in these parts,some of the homesteaders from the 40 Mile River came in to the hospitality stop to watch one of their own come through once again. They had been watching on their satellite internet and knew by the trackers that he was on his way. Everywhere I went Matt had a welcoming committee! I chatted with Matt for a few minutes and then pulled the hook and headed down the trail towards Dawson. It was mid-day now and the trail out of Forty mile was in pretty good shape. The wind was still blowing from the East into our faces and so the trail was lightly drifted over with a sand like snow. This combined with the head-wind kept us from breaking any speed records, but I sat down on my seat out of the wind and used my ski pole to help the dogs move along. This section of trail was so beautiful. We saw caribou on the river ice and it got the dogs all fired up. There are several amazing homesteads in this section on the banks of the river and my mind drifted back to the mail carriers who once ran this section of river for a living. I could feel the ghost of Percy De Wolfe, the famous mail carrier traveling with us as we passed the rocky cliffs and some old dilapidated cabins. Soon the sun set and in the distance we could see the glow of Dawson City. I had been recollecting stories from the past few days of traveling by myself so that I could share it with Emily Scwhing when I pulled into Dawson. She tasked me with actually having something to say when I pulled in instead of my usual lack of stories and replies like “yep, I had some stories but don’t remember what they were.” So I daydreamed of the past miles and what I would share. Up ahead I could see a large bonfire and some snowmachine lights. There was a little welcoming party on the river at someone’s cabin site. The people jumped up and down and cheered as we went past. I looked over my shoulder at them as we passed and yelled to ask how far it was to Dawson. I felt the sled curve and drop off a lip and looked forward to see us dropping down onto really rough ice as my sled hit the bottom something was severely wrong. To my right was that dark nothingness and loud roar of an open lead in the ice and it gave me shivers.. I then noticed that the dark shadow of Atigun was on the ice and dragging. I stopped the team and ran to her where she seemed to lie lifeless and taught against her choking collar. I picked her up and shook her and yelled at her and slowly her eyes opened. I freaked… literally freaked out. What had just happened to my dog? I ran her back to the sled and put her in the bag. Talking to her the entire time to try to get her to be more responsive. She was not okay, she was not herself. It was extremely frightening. I pulled the hook.. I needed to get to Dawson quick for Atigun’s sake. What had happened at that moment? Had she slipped as we were going down the icy slope and then been drug causing her to miss a couple seconds of oxygen, had she experienced sled dog myopathy where the dogs have extreme muscle breakdown causing an overload of potassium to shut down the heart for a moment. I thought back to the previous day when she didn’t’ seem right on the trail and I had bagged her, was that related?.. Could she have had a hypoglycemic seizure? I didn’t‘ know, but at that moment this silly race did not matter, what mattered was that we got to Dawson fast. As we moved along the last few miles into Dawson I called the dogs up to a faster speed. I have a command that lets the dogs know that we are close to rest whether that be our home kennel, training camps, or a checkpoint, they know that their work day is almost done and they pick up the pace. We moved faster than we had in days. Atigun slowly started to become more with it and it was obvious that she would be okay, but I was still a bit worked up. As we crawled off ice next to an enormous 0pen lead in Dawson City, Atigun began to struggle to get out of the sled.. she was becoming herself. We pulled onto the street and into the Dawson chute to a big group of spectators and media. Having just gone through this scary experience with Atigun, I completely forgot all my stories and the media was the last thing I wanted to see. I quickly gave them a crabby interview trying not to let on what had just happened. I then quietly spoke to Kathleen McGill the head vet about what had just occurred. She radioed the vets at dog camp to meet me to check out Atigun and the team. Thomas hopped on the sled with me and us two big dudes awkwardly shared the runners over to camp. The vets met us at camp to look at Atigun. At this point she was full of piss and vinegar wiggling around wagging her tail. I pulled her out of the bag and she instantly took a pee. It was clear as can be. In the case of myopathy the urine is dark in color.. brown in fact. Since it had been within a half hour or so of the incident the vets concluded that it wasn’t myopathy. I was relieved.. they were concerned however, and didn’t want to have a relapse of whatever it was and told me right then that I would have to drop her. Happy yet bummed about this, I stumbled around camp a little out of rhythm and Thomas and Megan took over. It was so awesome to have their help. Megan had handled for Terry Williams and Clint Warnke in the past, and I actually was there with Megan to help Clint. Thomas had handled for Paige with me in 2012 and so I knew that they both understood exactly what needed to be done and knew they way I woud do it if I was more with it. So I surrendered and they sent me off to the hotel room where I could catch up on some sleep. Sleep I did, the dreams took hold quickly, dreams of the trail behind and the trail to come, dreams of Whitehorse in a few more days.. for now I had 36 hours to regroup and form a plan of attack. Absolutely, a breath-taking read!! Thank you!! Having met you and Paige in Anchorage and then again at Willow and now we are back home in Australia we were able to read your account of your recent Yukon Quest I would like to say what an honor it was to meet you both and see undertake these amazing feats. Congratulations and good luck for 2015. Hey, Cody, great blog entry! Jeremy said he saw you guys at Hoo Doo, but didn’t get a chance to ask about the Quest. I thoroughly enjoyed following your race. I’m sorry it didn’t turn out how you had hoped, but glad you and the dogs are all well. There’s always next year! Looking forward to the rest of the story. Previous post: Scurion Headlamps… Lighting up the dark of night for Team Squid!